Earlier this week, I found myself wandering the rainwashed streets of New Orleans with U2’s “All I Want is You” playing on the soundtrack in my head. Cut to sitting at the French Quarter’s hippest bar, sipping cocktails mixed by a beautiful actress bartender. Chatting beside me was a local gallerist* and, along from him, a couple of artists he represented. In front of me was the notebook open at the final chapter of Johnny Mackintosh: Battle for Earth and a copy of Mark Kermode’s autobiography, It’s Only a Movie. The gallerist wanted to talk science fiction, notably Iain (M.) Banks and Dr Who. We had similar views on both and I could recount the time where I accidentally got the Scottish novelist a little drunk in a bar before a book reading, buying him whisky and telling him he’d inspired my own novels. It took a little while for the bartender to fess up to being an actress (it turned out a show of hers was even on HBO when I returned to the hotel), but once the fact was divulged she was reciting Shakespearean sonnets and having me recreate a scene from Austin Powers with her. After which I could even tell her how I once worked with Mike Myers! I know I’m incredibly lucky, but it often feels as though I’m living inside a wonderfully entertaining movie in which I’m director, screenwriter, cinematographer, location manager, head of casting and leading actor. And that’s exactly the conceit of Dr Kermode’s autobiography. It’s already the third book I’ve read this year so I figured it’s time to get busy reviewing or get busy dying. Choose life. Ever since I noticed there were film critics, Kermode has been my favourite. He’s risen through the ranks to be the nation’s favourite too, with regular slots on The Culture Show and a weekly movie roundup with “clearly the best broadcaster in the country (and having the awards to prove it)” Simon Mayo that’s so entertaining it’s been extended to two whole hours on a Friday afternoon. Possibly the highlight of my time as publisher at the bfi (British Film Institute) was receiving a very lovely email from Dr K. It goes without saying he wrote the bfi Modern Classic on The Exorcist, but this is also the man who made On the Edge of Blade Runner. Kermode, inevitably played in the movie inside his own head by Jason Isaacs, bookends his tale with a scene filmed in LA. He’s interviewing Werner Herzog when the Bavarian actor/director is shot. Herzog is calm and describes the bullet as “not serious” while Kermode scarpers for his life. This is a very self-effacing autobiography – it’s also laugh-out-loud funny as I’ve kept finding to my cost, drawing curious stares from the strangers around me while I’ve been reading. The bookend could have been an Angelina Jolie anecdote but it’s as though Kermode didn’t think about it until the end of the story, at which point it was too much effort to go back and restructure the book. That’s how it should be. Kermode’s gift, as well as sound judgment, fairness and honesty as a reviewer, is his stream of consciousness good humour. He recounts his first radio experience (horribly similar to my own) of sitting in a studio, going straight to air, panicking and rambling incoherently for several minutes until finally the nightmare ended. I wish I’d been there as I’m certain it was both informative, entertaining and opiniated, much like the book. 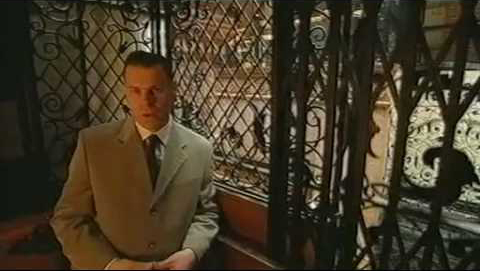 The next week, miraculously, Kermode was back for another slot. This time it was studiously prepared, scripted, slowed-down and dull. None of that’s Kermode’s nature. Behind the quiff (much admired by Jolie) is a tightly coiled spring of film-obsession that simply has to be released. The book is a rollercoaster ride through hilarious stories and the only problem with it seemed the great gaps. I wanted more, but perhaps we can look forward to a sequel coming to a bookshop near you sometime soon. 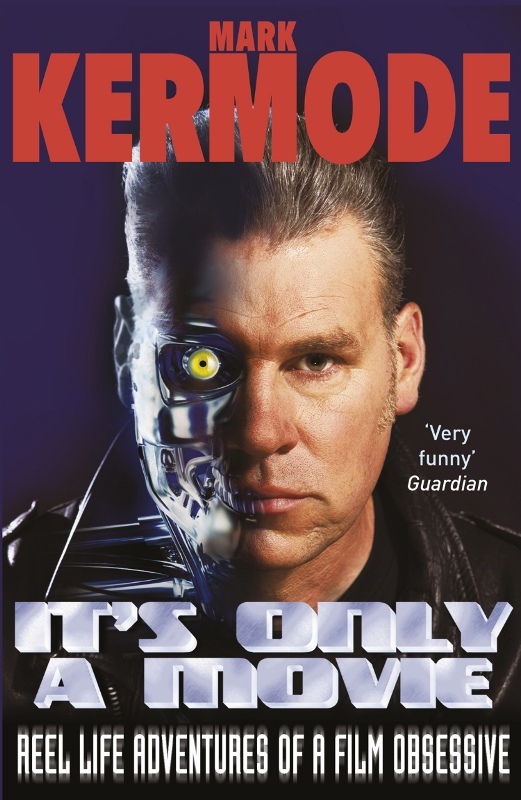 The only thing I partly disagreed with in the book was that Kermode reckons he’d make terrible movies himself. The typical description of a critic is “someone who can’t, writes about it” but, judging by the direction of the film inside this book, I suspect any film he directed would be a pretty good watch. Though he might need Simon Mayo or similar alongside him to organize it all with a steadier, overtly professional hand. As with my own sentences, most of Kermode’s open with, “So, …” A joy of the book is that his distinctive narration becomes the soundtrack while reading it. If you want a good story, or an insight into the life of an international film critic, or are wondering whether or not it’s a good idea to go to Odessa to experience a film set first hand, then this is the book for you. 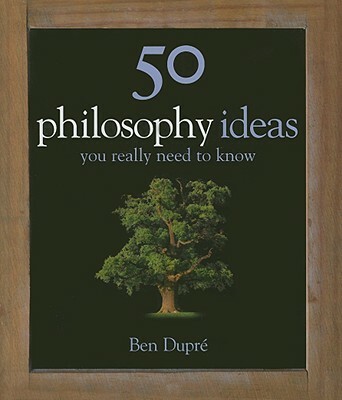 *I was editing Ben Dupre’s excellent 50 Philosophy Ideas you really need to know and was desperate to save any space I could. Ben, unusually for him as he’s a brilliant writer, had produced a rather clumsy sentence about the philosophy of art along the lines of “The person owning the gallery …” which I amended to read, “The gallerist…”. Ben’s retort, that “If there is such a word as ‘gallerist’ there shouldn’t be” was witty but misguided. Of course I changed it back, but it remains one of my favourite nouns and a minor flaw in an otherwise masterful book that you should also read. There’s a connection in that another author I publish, Nick Bostrom, argues convincingly that we’re all effectively living inside virtual reality simulations without realizing it. I first encountered Nick’s ideas when editing Ben’s opening chapter (The Brain in a Vat) which describes this conception, at the same time rather loosening one’s hold on reality. Kermode’s grip on reality is as tenuous as my own and he admits that much of what happens in his book may not actually be true, but was at least “inspired by true events”. Of course that’s the secret of every good storyteller. ~ by keithmansfield on January 13, 2011.